The vision for the House of Hope Children’s Home came from a Romanian woman, Camelia Cismaru, who witnessed the extreme neglect and abandonment of Romanian orphans in overcrowded, understaffed state institutions in 1998. Desiring to help the children of her country, she brought four babies out of these institutions and gave them the tender loving care they needed, in her parents’ home. After joining the Kids Alive family and nearly three years after this small beginning, a larger house was constructed to expand the reach and care for more children. For almost two decades, the House of Hope has continued to give hope to ten girls in two family-style units. Loving house parents care for them while they learn, grow, and prepare for a bright future. Three of the girls have graduated from high school and are now university students in Romania, moving toward independence with every day. 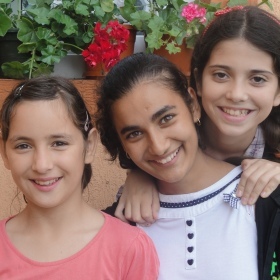 The conditions for orphans in the Romanian government programs have improved in the last ten years, but House of Hope stands out as an excellent and unique option for these children to experience the love and care of family life. Support the Ministry of House of Hope Children's Home with Your Gift Today.